The United Nations Statistics Division (UNSD) and Statistics Finland are organising the 6th Global Forum on Gender Statistics under the Global Gender Statistics Programme and guidance from the Interagency and Expert Group on Gender Statistics (IAEG-GS). The Forum will be held in Helsinki, Finland from 24 to 26 October 2016 and will focus on data and statistical methods for the follow up and review of the Sustainable Development Goals (SDGs) indicators framework, from a gender perspective. Gender Statistics Forums have proven to be an important opportunity to take stock of progress towards the achievement of gender equality and women’s empowerment and to review data availability, data challenges and countries’ capacities to measure and monitor gender-relevant issues. Forums are also the ideal venues to share and discuss initiatives and tools related to the collection, production, dissemination and use of gender statistics. 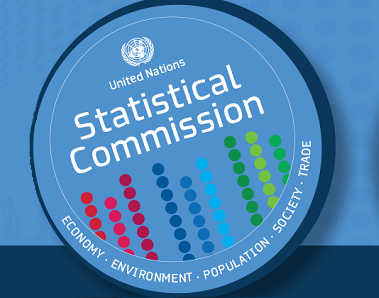 The United Nations Statistics Division (UNSD) is organizing the 10th Meeting of the Inter-Agency and Expert Group on Gender Statistics (IAEG-GS) in Helsinki, Finland on 23 October 2016. The meeting will bring together representatives from national statistical offices, international agencies, regional commissions and other experts to discuss methodological developments to measure selected indicators under SDG 5, other gender relevant SDG indicators, and to take stoke of ongoing and planned activities to fill in gender data gaps.